2019 JAN - JUN WUSHU OPEN FOR ENROLLMENT! To sign up for trial classes please click here. Follow steps 1 to 5 to enroll. ​a. Payment must be received by the end date of any discount offer in order to be redeemed. Payments received after the end date will result in non-discounted tuition. b. Only one discount can be applied per student. c. Sibling discount: 2 siblings (5% discount off each sibling) CODE 2SIB. 3 siblings CODE 3SIB (10% discount for each student). Please browse the schedule below to see weekly and monthly schedule. Single 1 hr class per week at Burlington, MA only. 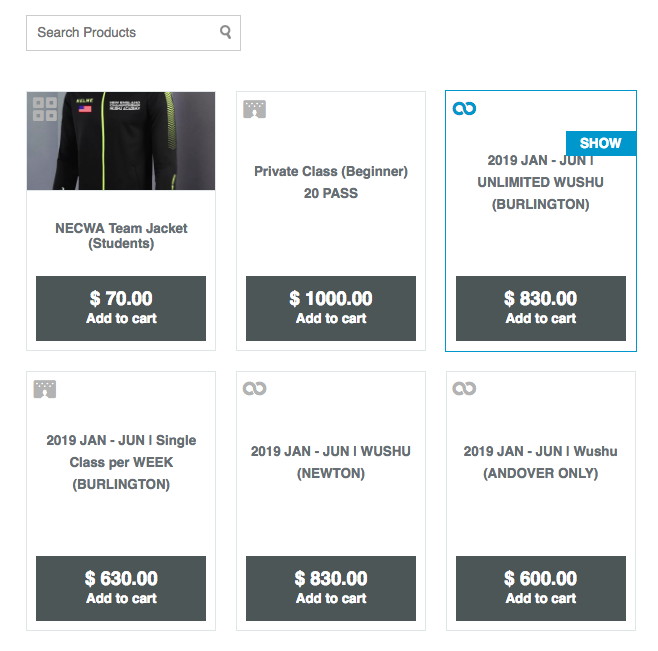 If registering an online account isn't convenient for you please fill out the form titled NECWA Wushu Registration below and we will help you set up an account. Otherwise register an account HERE. 2) In the Dashboard, select STORE. 3) Select Desired Purchase Option. 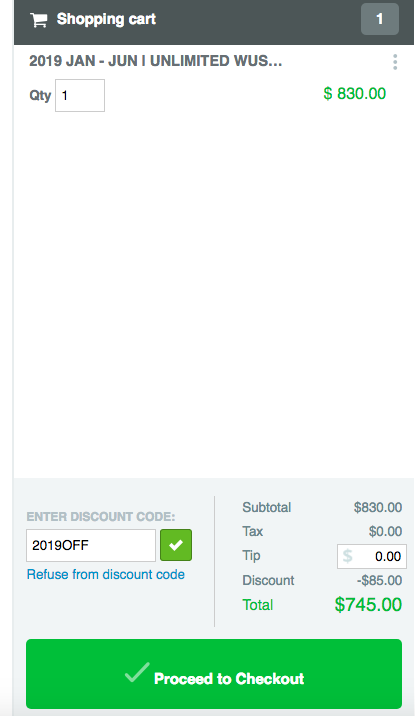 4) Apply discount codes and check out. 1) Decide on an enrollment option (explained below) by filling out the form titled "NECWA Wushu Registration" below. 2) Bring Check or Cash payment prior to the start of first class. 3) Login and make sure waiver is signed and complete payment by check or cash before attendance at first class. ​1) Decide on an enrollment option (explained below) by filling out the form titled "NECWA Wushu Registration" below. 2) Venmo (@NEWUSHU) or PayPal (@nemawushu@gmail.com) payment prior to the start of first class. 1) IN PERSON: Come to one of our locations during schedule hours, and find Calvin or Xiaoyi and we will get you registered. ​1) Register an account HERE. An account is needed to complete payment online. 2) Add desired purchase option in the cart below. 3) Must sign waiver and complete payment before attendance at first class. ​1) Register an account HERE. Fill out the required fields. 2) Decide on an enrollment option (explained below) by filling out the form titled "NECWA Wushu Registration" below. 3) Bring Check or Cash payment prior to the start of first class. 4) Must sign waiver and complete payment before attendance at first class. 2) Decide on an enrollment option (explained below) by filling out the form below. 3) Venmo @NEWUSHU, PayPal: nemawushu@gmail.com. ​a. Payment must be received by the end date of any discount offer in order to be redeemed. Payments received after the end date (even if form is filled out) will result in original cost. b. Only one discount can be applied per student. Redeeming multiple discount offers only available to those enrolled in small classes. 5. If you want us to SETUP account for you. Email us at nemawushu@gmail.com if you have any questions or need assistance enrolling. 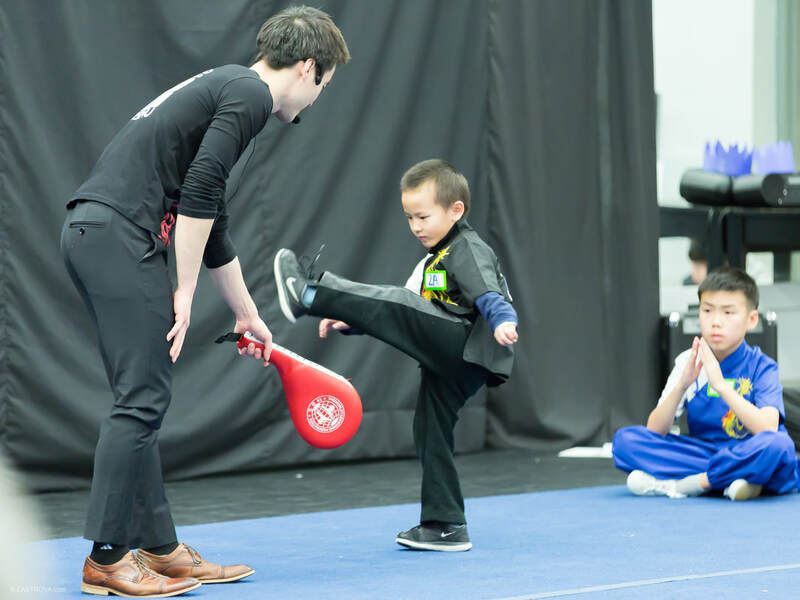 ​If registering an online account isn't convenient for you please fill out the form titled NECWA Wushu Registration below and we will help you set up an account. Otherwise register an account HERE. . Located right off I-95 (EXIT 32), near Market Basket, HMart and Burlington, Mall. ​Parking: Park in the front of the building. Parking in front of the building is reserved for Boston Showcase until 5pm. Additional parking is available behind the building, accessible either from Dedham Street or the driveway at the end of the Sunoco/Village Bank strip mall. Please park along the fence, next to the playground. Several pathways will lead to Winchester Street. Please do not park in neighboring lots. Located right next to Primose school of Andover.